The military lifestyle often requires families to move across the country or overseas. That makes it challenging to maintain your academic career. But Oregon State Ecampus provides the high-quality education and dose of consistency that you deserve no matter where you are out there. 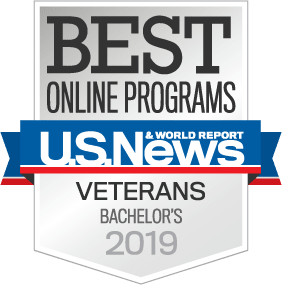 Even better, OSU allows military members to transfer education benefits to their spouses or dependents in order to pay for tuition. Military spouses who utilize military education benefits may also be eligible for additional funding under the Department of Defense MyCAA (Military spouse Career Advancement Accounts) program. Many Ecampus students are military dependents who successfully juggle their OSU studies amid family obligations, cross-country relocations and other demands of life in the service. "When I married an Army drill sergeant, the only thing I knew for sure was that wherever life took me, my school was going to have to come with me," said Katie Rodgers, a U.S. Marine and mother who earned her B.S. in Agricultural Sciences from OSU. "Because of Ecampus, I was able to continue taking classes. No matter what happened or how often we moved, Ecampus always fit." Jennifer Johnson used her husband's GI Bill to help cover the cost of Ecampus classes. While raising two young children and moving coast-to-coast twice, Jennifer completed her coursework and earned a bachelor's degree in environmental sciences from OSU in 2011. For more information on transferring military benefits to dependents, please contact the veterans certifying officers in OSU's Office of the Registrar via email, or call 541-737-2007 or 541-737-0593. And don't forget to explore our 50-plus online degree programs to find the one that suits you best.